My first encounter with Turkish hospitality was in the city of Edirne. Edirne is located in west Turkey near the country borders of Greece and Bulgaria. I entered the town through the Greek border city of Kastanies, escorted by an elder Turk that spoke german. The city of Edirne is known for the Selimiye Mosque, which is built between 1569 and 1575 by the architect Mimar Sinan, and is considered as one of the highest achievements of Islamic architecture. The city has a large bicycle community and the nicest of warmshowers hosts. My first contact with the community was with Melih A. through a warmshowers request. Reading his profile I felt that I really had to meet him to learn from his several bicycle travels that have taken him through Europe and Russia. Even though his class schedule didn’t allowed him to host me at first, he assured that I would have a host by contacting Tamer Y. owner and manager of trakya bisiklet. 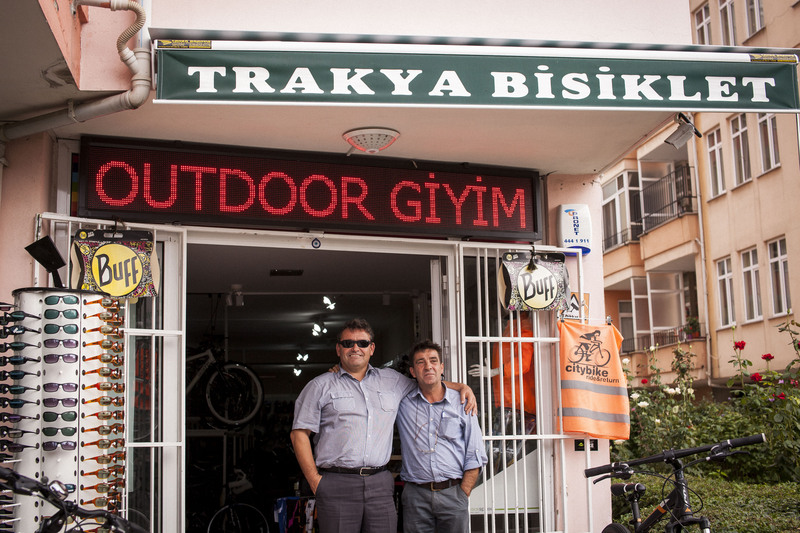 When I arrived to Trakya bicycle shop I was warmly welcomed by Melih and Engin and Osman. This was my first experienced with Turkish hospitality. They really are a bicycle family. 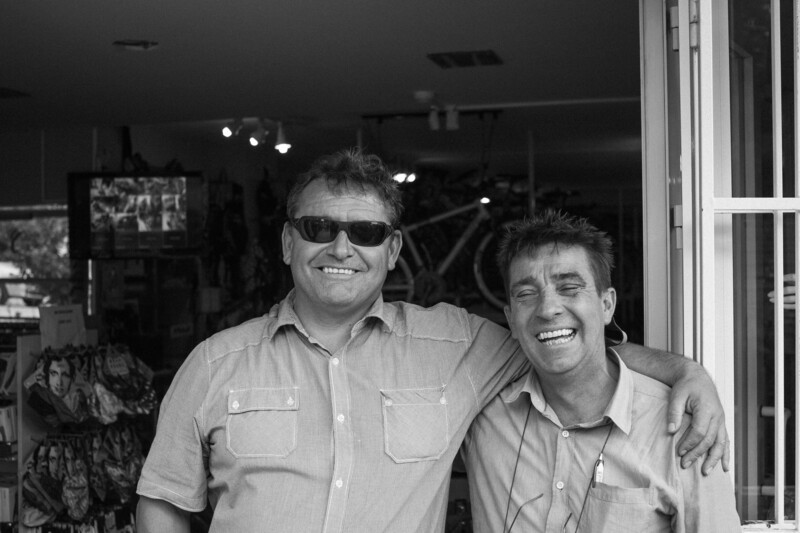 I felt immediately comfortable and treated with familiarity. A planned two day stay became three days, and if it wasn’t because I had to meet up with some friends in Kirklareli, I would have stayed longer. The first night I stayed at the apartment that Melih shares with fellow university students . 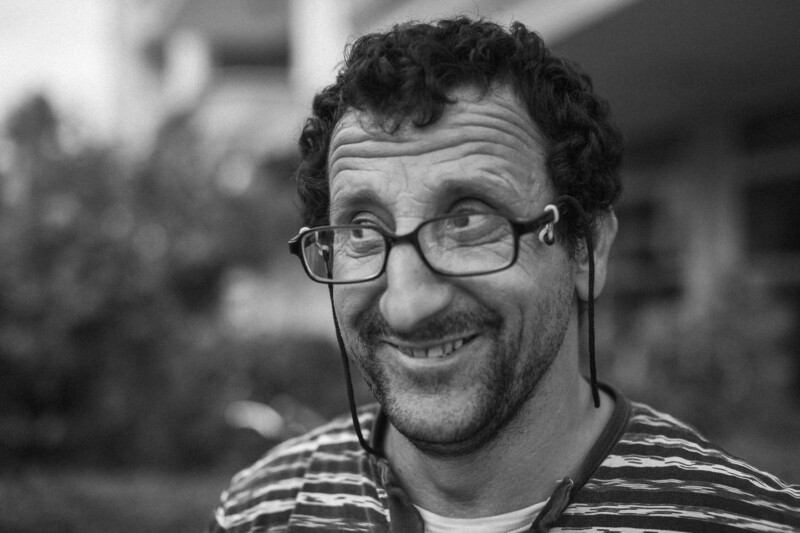 He shared his stories and pictures from his bicycle trips and introduced me to basic aspects of Turkish culture. 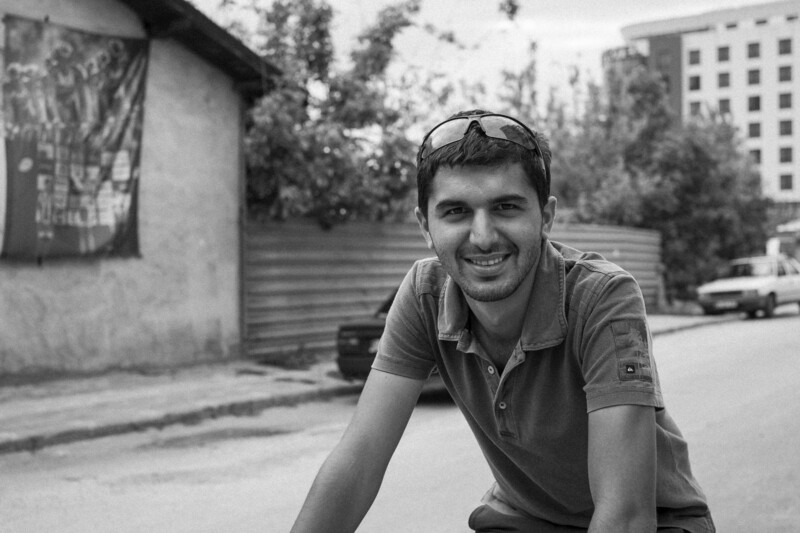 If you want to meet Melih and see where he’s going on his bicycle, check out his wordpress blog. Day one in Edirne started with a typical Turkish breakfast. Melih invited me to a place where we ate menemen (a traditional Turkish dish which includes eggs, onion, tomato, green peppers, and spices). Here I learned the Turkish custom to share the dish. After stuffing myself with Turkish delights and taking my luggage to Engin’s place, I went to visit the Selimiye Mosque and other places of worship in the city center. The day ended sharing some beers (being Bomonti my favorite Turkish beer) with Engin and Melih and… We talked about life and politics (the latter not being my favorite topic). 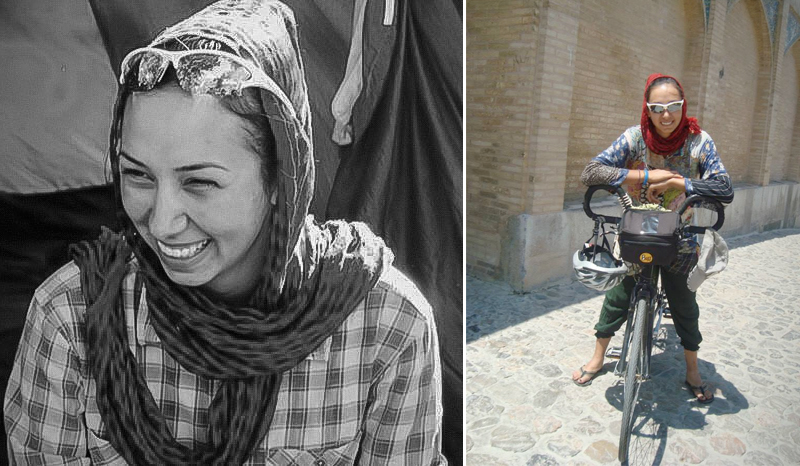 On that night I also met Zahide Ö, she had just arrived from here bicycle tour through Iran and was eager to share her tales, which you can read on her blog. She has a true adventurous spirit. The next day Engin prepared a magnificent breakfast. After that are tummies were full I had a discussion with Zahide about the gender roles within Turkish society (after she declined to let me help here do the dishes). Afterwards she showed me around Trakya Üniversitesi, where she’s getting a degree in finance. It was nice to get to know the local student life through here. The night ended with food, wine and traditional music. Engin invited us to his brothers retreat where we enjoyed fried fish catched in the Aegean sea and drank wine from the brothers vineyard. Engin’s friend Secat played the saz and sang some of those very sad Turkish folk songs. Engin was very kind for sharing his home and time with me. The day after I parted with a smile and confidence to continue my trip. Even I only stayed for a few days, I can say that I have good friends in Edirne. I wish my hosts in Edirne all the best and hope to welcome them one day with the same kindness as they have shown me. OMG Huetzin! It is so touching what you write. I feel so inspired from all these lines. It is a proof that the world is full of good people and that all the cultural and spiritual richness is there always at a hand for the ones that seek for them. Your stories bring happiness to my heart in these moments where I feel the world is falling a part. Thank you for sharing. May all these learnings keep your spirits strong to go on always and inspire others. Thank you for following the blog and your kind words… The world is full of good people, but fear can sometimes blinds us from trusting each other and showing some kindness. I’m happy that you feel inspired from reading my humble stories. Being on the road and not following the world news has made me trust myself to trust other people and except what is given, good are bad. To this point all has been good, the bad has been by my own doing. Gracias por las buenas vibras y les deseo lo mejor!! !